And now for something completely different. I checked Snopes to see if this is accurate, but they didn't mention it. I have no reason to doubt it though. In some ways, it's a positive story. It's interesting to me how they all came to the same decision, apparently independently. The Hitler family has five remaining members of the bloodline. If they have their way, it will end with them. 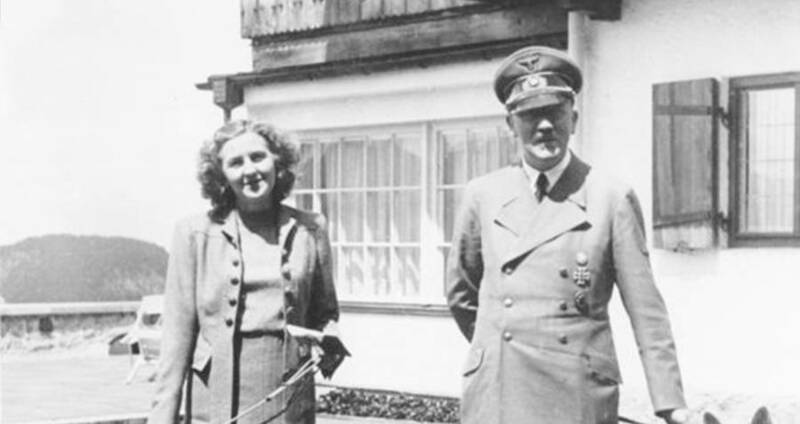 Wikimedia CommonsAdolf Hitler with his longtime lover and short-lived wife Eva Braun. Peter Raubal, Heiner Hochegger, and Alexander, Louis and Brian Stuart-Houston are all vastly different men. Peter was an engineer, Alexander a social worker. Louis and Brian run a landscaping business. Peter and Heiner live in Austria, while the Stuart-Houston brothers live on Long Island, a few blocks from each other. It would seem the five men have nothing in common, and apart from one thing, they really don't — but that one thing is a big one. They are the only remaining members of Adolf Hitler's bloodline. And they're determined to be the last. Adolf Hitler was only married for 45 minutes before his suicide, and his sister Paula never married. Apart from rumors of Adolf having an illegitimate child, they both died childless, leading many to believe for a long time that the horrific gene pool had died with them. However, historians discovered that though the Hitler family had been small, five Hitler descendants were still alive. Before Adolf's father, Alois, had married his mother, Klara, he had been married to a woman named Franni. With Franni, Alois had had two children, Alois Jr. and Angela. 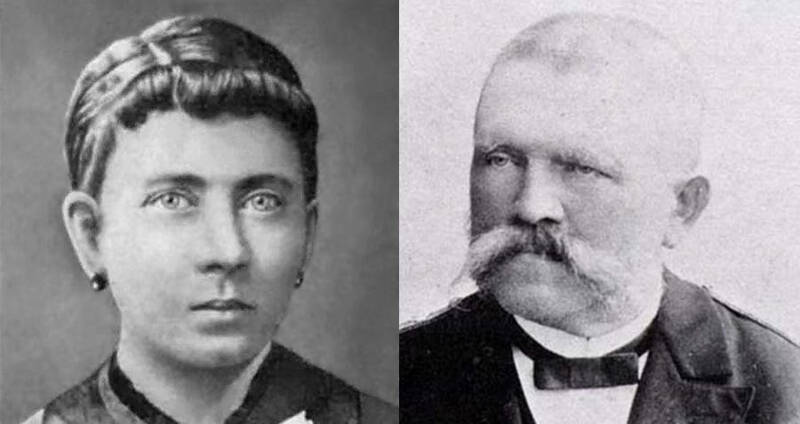 Wikimedia CommonsAdolf's parents Klara and Alois Hitler. Alois Jr. changed his name after the war and had two children, William and Heinrich. William is the Stuart-Houston boys' father. 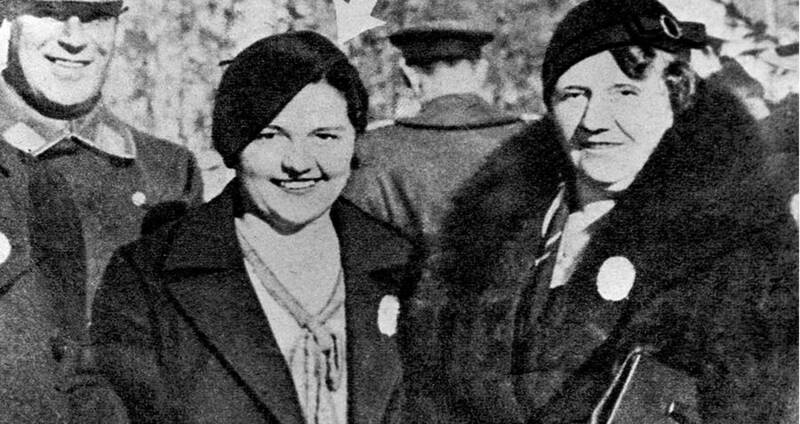 Angela married and had three children, Leo, Geli, and Elfriede. Geli was most known for her potentially-inappropriate relationship with her half-uncle and her resulting suicide. Leo and Elfriede both married and had children, both boys. Peter was born to Leo and Heiner to Elfriede. As children, the Stuart-Houston boys were told of their ancestry. As a child, their father had been known as Willy. He was also known as "my loathsome nephew" by the Fuhrer. As a child, the loathsome nephew attempted to make a profit from his famous uncle, even resorting to blackmailing him for money and plush employment opportunities. However, as the dawn of the second world war approached and his uncle's true intentions began to reveal themselves, Willy moved to America and after the war ultimately changed his name. He no longer felt any desire to be associated with Adolf Hitler. He moved to Long Island, married, and raised four sons, one of whom died in a car accident. Their neighbors remember the family as "aggressively all-American," but there are some who remember Willy looking just a little too much like a certain dark figure. However, the boys have noted that their father's family connections were rarely discussed with outsiders. Getty ImagesAdolf's sister Angela, and her daughter Geli. As soon as they knew about their Hitler family history, the three boys made a pact. None of them would have children and the family line would end with them. It also seems that the other Hitler descendants, their cousins in Austria, felt the same way. Both Peter Raubal and Heiner Hochegger have never married, and have no children. Nor do they plan to. They also have no interest in continuing the legacy of their great-uncle any more than the Stuart-Houston brothers. When Heiner's identity was revealed in 2004, there was a question of whether the descendants would receive royalties from Adolf's book Mein Kampf. All of the living heirs claim they want no part of it. "Yes I know the whole story about Hitler's inheritance," Peter told Bild am Sonntag, a German newspaper. "But I don't want to have anything to do with it. I will not do anything about it. I only want to be left alone." The sentiment is one that all five Hitler descendants share. So, it seems, the last of the Hitler family will soon die out. The youngest of the five is 48, and the oldest is 86. By the next century, there won't be a living member of the Hitler bloodline left. Ironic, yet fitting, that the man who made it his life's goal to create the perfect bloodline by eliminating the bloodline of others will have his own stamped out so intentionally.